A mother in Burlington County is facing charges after her toddler son apparently died of suffocation on Saturday night, 1/19. 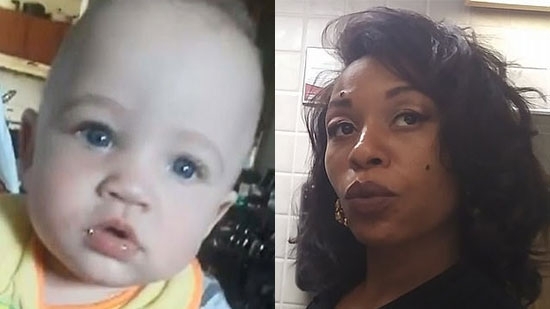 Burlington County Prosecutor Scott Coffina and Lumberton Township Police Chief Nick Peditto announced that 33-year-old Antoinette King was charged with second degree Endangering the Welfare of a Child in the death of her 13-month-old son Jeremiah King. Authorities were called around 8:30 p.m. to a home on the 300 block of Dove Court in Lumberton. Jeremiah's grandmother found both the child and his mother unresponsive. Apparently, Antoinette overdosed on heroin and rolled over onto her son. She was taken to Virtua Memorial Hospital in Mount Holly and revived with Narcan. Jeremiah could not be resuscitated. She is currently being held in Burlington County jail. The investigation is ongoing. An autopsy will be performed. Delaware State Police have arrested 8 teenagers from Pennsylvania wanted for a string of car thefts at the Port of Wilmington. The thefts all occurred between Oct. 31, 2018 and January 15th, 2019 at Trans Cargo, LLC and Autoport, Inc both on Pigeon Port Road in New Castle. The companies modify cars and then ship them overseas. Police say that the teens, ages 15-18, would simply climb over the fence. The cars were being stored unlocked with the keys inside. Several times the teens used one vehicle as a ram to open the gate and would leave that one behind. Other times cars would run out of gas and were abandoned along the road. Police say they stole 38 cars over 9 different incidents. Half of the vehicles have been recovered. This past Saturday, 1/19, police observed five teens get out of a silver Toyota Corolla and climb the fence at Trans Cargo. Troopers were able to chase them down and make the arrests. Three other teens stayed in the Corolla and were also apprehended. A handgun and other evidence tied to the thefts was found in the car. They were all taken to New Castle County Detention Center. Heavy rains over the weekend opened up a sinkhole and exposed a natural gas pipeline in Chester County on Sunday, 1/20. The hole was reportedly five feet across and 10 feet deep. It was on a property on the 400 block of Lisa Drive in West Whiteland Township. The pipe is a portion of the Mariner East One Pipeline. Sunoco, the Public Utility Commission (PUC), and local officials were on the scene. The pipe was exposed but was not damaged. The sinkhole was the result of the failure of a water drainage system associated with the pipeline. Sunoco has shut down that line "out of an abundance of caution." "At no time during the incident was there any impact to public safety, no evacuations were ordered, and no injuries reported. The incident has been closed, however, Sunoco and the PUC will continue to investigate," stated Bill Turner, Deputy Director for Emergency Management, Chester County Department of Emergency Services.